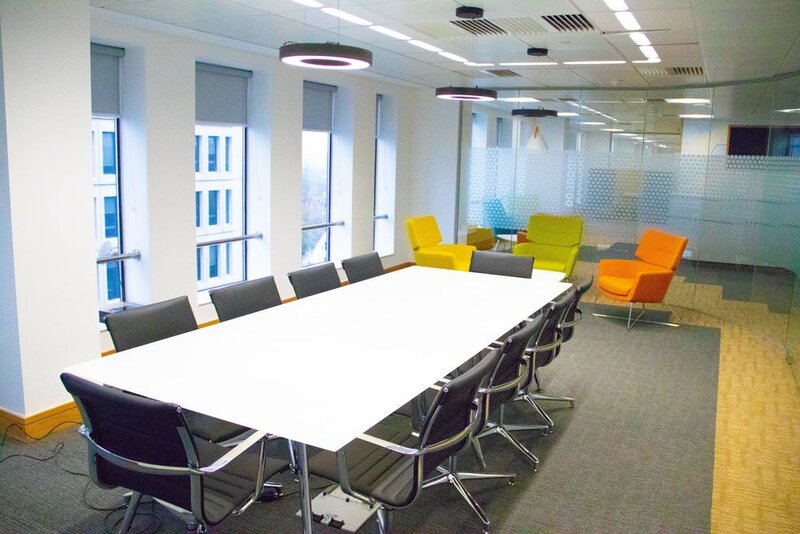 Last year saw Tang Interiors begin to establish its roots and deliver high-quality office fit-outs for clients including Sixt Rent-a-Car, Hive 360 and the NHS. Our success and growth saw the expansion of the team to welcome three new starters in Adam Mattimoe, Kennedy Farrall and Stuart Clark, all of whom will play a fundamental part in continuing to deliver quality interiors for clients and support the growth of the business. Following on from the success of 2018, Tang Interiors is racing into 2019 with two very exciting new client wins. Whilst we can’t name the client (at this stage), we can reveal that we’ve been chosen to carry out a 750 sqm Cat B fit out of a new research and development facility for a prestigious Formula 1 team. We’re on site now and the project is expected to take 10 weeks. We’ve also been chosen by the UK’s communications regulator, Ofcom, to deliver a fit-out of its office in Cambridgeshire. Work begins on site from 21st January, with the 600 sqm project expected to take 10 weeks to complete and includes specialist mechanical and electrical works. This is Tang Interiors’ second fit out for the regulator and we’re excited to have been chosen following the success of our first project in the Midlands. 2018 really saw Tang Interiors hit the ground running, winning a number of new clients, delivering high-profile schemes and securing a reputation as an expert interior fit out and refurbishment contractor. Where do you go if you want to enjoy your lunch break away from your desk? Do you head to the designated staff room, where you reheat your soup in the microwave, sit at the table and chairs or relax for 15 minutes on the armchair or sofa? For many of us, that is the reality of staff facilities in the work environment. However, things are definitely changing for the better as businesses look to transform the modern workplace so that their employees enjoy going to the office, working and socialising with colleagues. There are myriad factors that influence how we approach interior design, not least reflecting the changes in how office space is used. 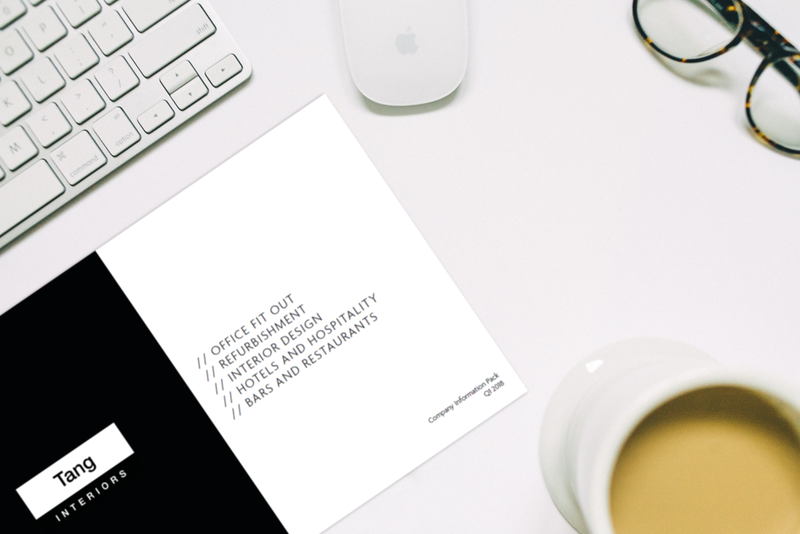 As more businesses focus on hot desking, agile working and fluid spaces, our focus is on making the office welcoming, not utilitarian. We are re-thinking how offices work. Rather than the traditional staff room, there is a growing demand for break-out areas that allow staff to think and work quietly on their own, recharge their batteries, or just chill for a while. These are especially important if the office is open plan because they help to break up the monotony of the space, but crucially they work in both formal workspaces and more casual ones. The same goes for collaborative spaces. These are more than just meeting areas; they are places where staff can work together in comfortable surroundings - think comfy sofas, large screens and whiteboards. A recent survey by Equiem, published in Property Week, revealed that office workers had quite the wishlist when it came to the ideal office environment. It focused on services, experiences and fitness activities. Respondents were keen to have food deliveries to their desks and dry cleaning pick-up services and it was interesting to see that 60% of respondents said they wanted store rooms or Amazon lockers installed for parcel deliveries. This clearly recognises that as more people shop online, they need to be able to take delivery of the items when they are not at home. Similar numbers of people also expressed interest in having on-site access to massages to get rid of those knotty shoulders. In addition, 54% said they would like to have regular health checks while at work. They also said they wanted to be able to go to a gym, fitness classes, yoga and bootcamps in their offices. These are requests that our clients are increasingly making. One of the projects we are working on - at Lyndon House, Hagley Road, Edgbaston - includes a designated gym for office workers. We’ve also discussed the possibility of introducing store rooms/Amazon lockers for other fit-out schemes we’ve worked on. It is clear that there’s a growing emphasis on the wellbeing of staff at work - and this is to be applauded. While people are working harder than ever, we maintain that it pays to reward them with smart spaces while they are in the office for eight or more hours a day. From good lighting to dedicated areas where you can recharge, thinking about the modern office will not just make people want to come to work, it will encourage them to work productively. Whilst we know that key factors in office design such as natural light, air quality, greenery and technology, have an impact on people’s wellbeing and performance, fitwel - an American certification body which recognises buildings that prioritise health and wellbeing - also includes food as a key contributor to overall wellness. Here, All Work has compiled a list of the best snacks in the workplace to boost cognitive function. “Tang Interiors, along with our other two key suppliers - Flow Office Furniture and MFM IT Ltd - have collectively helped us to create the most inspiring and engaging office space in a prime location at 54 Hagley Road. We are absolutely delighted to handover the first flagship Birmingham Sixt store to our good friends at Sixt rent-a-car, a challenging but enjoyable project with a totally professional client team. We’re looking forward to the next location. Check out a selection of the handover photos below. YEP Global, the networking organisation for the property and construction industries, is launching in Birmingham for the first time. YEP's Birmingham chapter will join its existing 5,000-strong membership of professionals in the UK and Dubai, and will provide a platform for entrepreneurs, rising stars and future leaders to build relationships, learn new skills and share ideas. Launching on Wednesday 19th September with a special event at Revolucion de Cuba, YEP Birmingham is opening its doors to anyone involved in the property and construction sectors in the city. This also includes those that work alongside these sectors, such as legal, investment and accountancy. The launch event will include talks from keynote speakers Tony Green, Chief Executive of Hortons Estate and Frances Howell, Managing Director and Head of Corporate Banking at HSBC, both of which will be discussing development, talent retention and Birmingham's ability to provide a skilled workforce. Dean Hockley, Graduate Surveyor at Carter Jonas and Committee Chair of YEP Birmingham, said: "We're introducing a network with international reach to bring together Birmingham's young property professionals, and we want to see as many people as possible join us for our launch. YEP provides a platform for individuals to grow, starting at grassroots level and helping build their professional networks and develop their careers. "Birmingham is Europe's youngest city and has a thriving property sector, making YEP a natural fit to join other cities including London, Manchester and Leeds which already have established and successful YEP networks." Organised by its newly-formed committee, YEP Birmingham will host regular events, providing informative and educational sessions alongside social networking and dinners. Representing a cross-section of organisations and professions from within the city, the YEP Birmingham committee consists of: Dean Hockley, Committee Chair and Graduate Surveyor at Carter Jonas; Charlotte Bloomfield, Senior Associate at Eversheds Sutherland; Mark Hipwell, Design Coordinator at LMJV (HS2); Raj Sanghera, Senior Quantity Surveyor at AECOM; Louise Bennett, Marketing Executive at Gateley; Adam Wood, Regional Manager at First Title; Jeremy Boothroyd, Management Surveyor at Horton's Estate; James Foster, Commercial Manager at RPS Group; Matt Walker, Group Marketing & PR Manager at Colmore Tang Construction; James Rollason, Associate at PMP Consultants; and Hannah Griffin, Assistant Director at EY. Coming out in support of the organisation, YEP Birmingham’s launch event is being sponsored by Gateley Plc, Carter Jonas and Tang Interiors. International car rental franchise Sixt Rent a Car has appointed Tang Interiors to deliver the fit out of its first city centre branch. Located at Fiveways, on the site of the former Tesco petrol station, the new Sixt Rent a Car will be the firm’s Birmingham flagship store and its second branch in the region, joining one at Birmingham International Airport. Tang Interiors, a group company of Colmore Tang Construction, is delivering a full fit out from the shell of the new 1,200 sq ft building, which will include air conditioning, a comfortable and stylish sales showroom plus a meeting room, manager’s office, kitchen and toilets. Work to transform the site will start in September and the programme is expected to take five weeks to complete. “We’re really excited to be working with such a prestigious international company during its aggressive expansion campaign across the UK,” said Carl Hubbard, Director of Operations at Tang Interiors. The Tang Interiors team is on the lookout for a recently qualified graduate quantity surveyor. You will be working for both Tang Interiors and our specialist dry lining business assisting in the commercial management of our construction projects. We offer our graduates a structured technical and managerial training programme and support individuals to achieve chartered status. For more information and to apply, please use the button below. The 10-week refurbishment started in April and was completed on time ready for NHS England to relocate to the bright, modern environment in June. Tang Interiors, a group company of Colmore Tang Construction, has been appointed to create a brand new conference and events facility at the deluxe four-star Park Regis hotel in Birmingham. 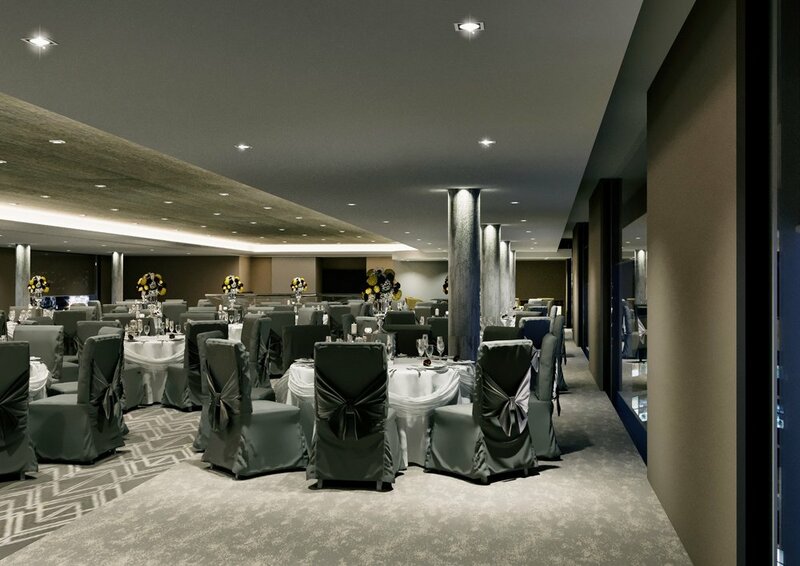 The firm - which specialises in refurbishment and interiors for the commercial, retail, restaurant and hospitality sectors - is remodelling the hotel’s 16th floor into a 5,250 sq ft open-plan conference space for up to 440 delegates, with floor-to-ceiling windows offering 360° views across the city. The 15th floor - where the current conference facilities are - will also be transformed to create additional meeting rooms and break-out areas, as well as a new bar area. Worth £750,000, the project involves stripping out the existing bar and restaurant on the top floor and transforming it into a completely versatile space. “We’ve been appointed to deliver an inspirational conference and events space that has the wow factor but is still in keeping with the luxurious feel of the rest of the hotel,” explained Carl Hubbard, Operations Director at Tang Interiors. The firm will construct two new bars and install contemporary lighting, state-of-the-art audiovisual and new air conditioning to provide the highest level of comfort and technology for delegates and visitors, while specially-selected furniture and upholstery will complete the look. Tang Interiors will also install Bolon tiled flooring; an innovative Swedish product that is impervious to spillage and offers sound attenuation. “We’ve worked closely with Park Regis and architects Tibbatts Abel to design every aspect of the space so that we can deliver a high-quality conference facility that reflects the prestigious brand and ensures the hotel remains one of the most popular city centre venues for hosting events,” continued Carl. Work started at the beginning of April and the new conference facilities are expected to be complete by mid-June. The hotel will remain open as usual for the duration of the refurbishment. As well as the new conference space, Tang Interiors will also provide a dedicated entrance on floor one which will take delegates directly to the 16th floor, where there will be a new welcoming reception and cloakroom area. External signage will also be upgraded in keeping with the new reception area. Guide: What is office fit out? Thought 'shell and 'core' was what you did to fruit? That Type A and B are blood types? Let us guide you on a journey through the ins, outs and types of office fit out in our comprehensive 'what is office fit out?' guide. Today (20th December 2017) we've been on the Birmingham Post, Birmingham Mail and Building Construction Design websites with the announcement of Tang Interiors. Read more about our ambitious plans and expertise at the links below. Contractor Colmore Tang Construction has launched a new fit out and interiors division as it presses on with its ambitious expansion plans. Tang Interiors is a group company specialising in fit out and refurbishment for the commercial, retail, restaurant and hospitality sectors. Headed by Carl Hubbard, who has been appointed Operations Director, the company provides full turnkey projects, creating inspirational spaces for landlords, private companies and building consultancy teams. It will work on projects spanning £250,000 to £20 million, using 3D design technology to allow customers to visualise the end result and step inside a room using virtual reality. Carl said: “This is another exciting step for Colmore Tang, which is a rapidly growing business and is widely recognised for its professionalism, creativity and innovative approach to construction. “At Tang Interiors, we all come from very experienced backgrounds,” said Carl, who has 24 years’ experience in the design and fitout sector, having worked closely with large blue chip companies and building consultancy firms across the UK. Responding to research by The Federation of Master Builders (FMB) that revealed fewer than a third of large contractors pay their suppliers within agreed terms, Chief Financial Officer of Colmore Tang Construction Group, Neil Martin, reveals why paying on time delivers better buildings and how subcontractors can help themselves to get paid on time. “Our philosophy from day one has always been to pay on time because we realise the importance of building relationships and trust with our subcontractors. Building is a collaborative process and we know that the success of our projects, and ultimately our business, is through this teamwork. “When our subcontractors need to choose between working with us or a late-paying competitor, they choose us. We’re not just buying skills by paying on time, we’re buying goodwill too. “Our policy is simple – we pay every invoice within the agreed terms. The only exception is when an invoice is incorrect. Our finance and commercial teams work with the supplier to make the necessary amendments and then they go for payment. “So far, the policy is working well for us. Unlike some contractors, we’re not having to delay payments to enhance our cash flow and because of our structure, and not directly employing any tradespeople, we just pay for what we need and people are happy to come and work for us. “This year, we were named ‘Best Contractor To Work With (Under £50 million)’ at the Construction Enquirer Awards, which is voted for by subcontractors and suppliers. “Being fair in business isn’t always held up as being the most highly-regarded principle in this industry, but for us it is and it’s paying dividends. Business is growing, we’re profitable, and we’re delivering some fantastic projects. “We’re also members of the National Federation of Builders, which has an active policy encouraging all member companies to pay on time. It has also campaigned to the government in support of the Supply Chain Payment Charter, a voluntary code for fair payment in the construction industry. The CEO of Birmingham’s fastest-growing contractor, Colmore Tang Construction, has said the company was prepared for the Bank of England’s decision to increase interest rates and that it would not have a major impact on business. Andy Robinson, CEO of the Colmore Tang Construction Group of companies, responded to the announcement on Thursday 2nd November, after policymakers on the Monetary Policy Committee (MPC) voted 7-2 in favour of the quarter point rise from 0.25 per cent to 0.5 per cent. Since launching four years ago in 2013, Colmore Tang Construction has gone from strength to strength and now has a projected annual turnover of £100 million. Among its successes, the contractor built the prestigious 253-bedroom four-star Park Regis Hotel at Fiveways in Birmingham and has completed more than 1,200 residential units, with a further 3,500 in the pipeline.